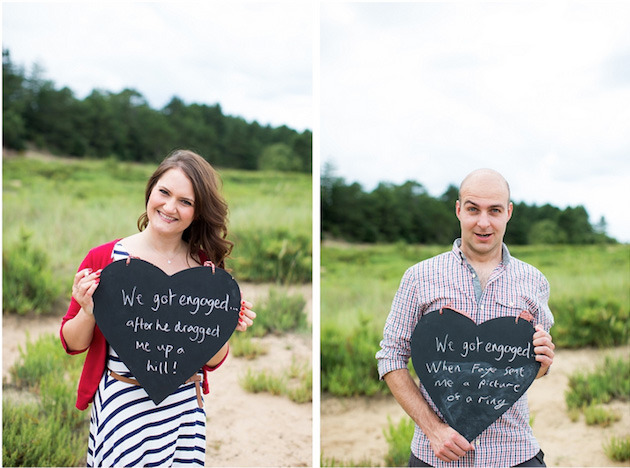 Engagement sessions are always one of our favorite things to shoot. It gives us a chance to really get to know the couple and at the same time gives them a chance to get to know our shooting style first hand prior to the wedding day. 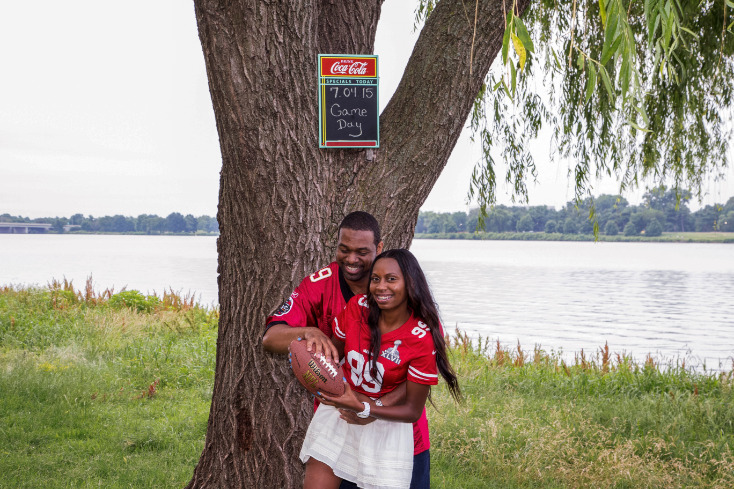 Engagement sessions also give couples, especially those with limited or no experience working with a professional photographer, the opportunity to become more comfortable in front of the lens before taking the spotlight on the big day. 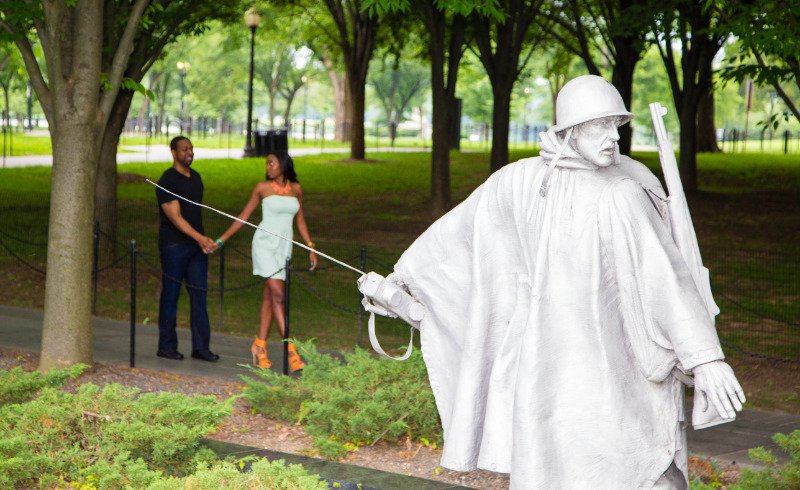 STEP 1 – Choose a significant location; one(s) that helps tell more about your love story. This could be the place where you first met, went on your first date or maybe where you proposed! It could even be a possible location for a themed engagement session. STEP 2 – Show up on time. One of the toughest things we’re usually working against is daylight. While we can always get a few night shots – by being on time we’re not rushed and can ensure a nice relaxed session. It also gives more time for you to take photos at additional locations and receive more photos! STEP 3 – Bring an extra outfit. 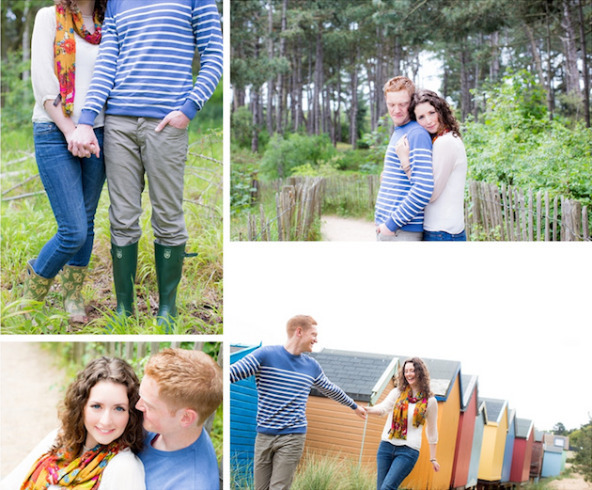 While not required, it’s become very popular for couples to bring an extra outfit to change into during the session. Most couples bring a casual and formal outfit. Be aware of what you choose to wear. 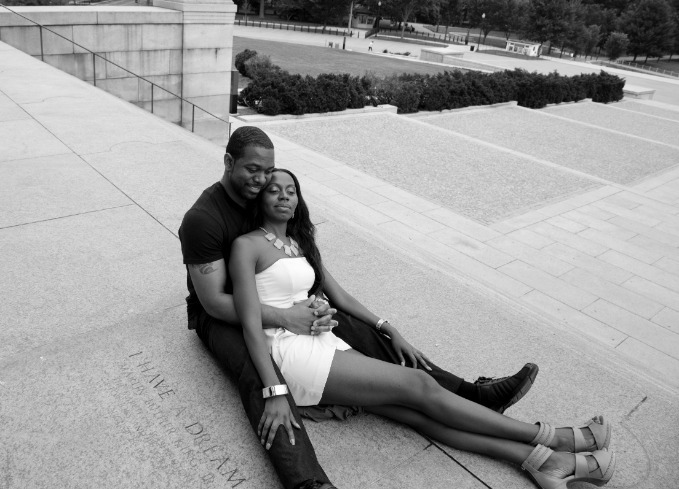 You want to be comfortable throughout your session as we move around to different locations. Also pay attention to color coordination but you don’t need to perfectly match. 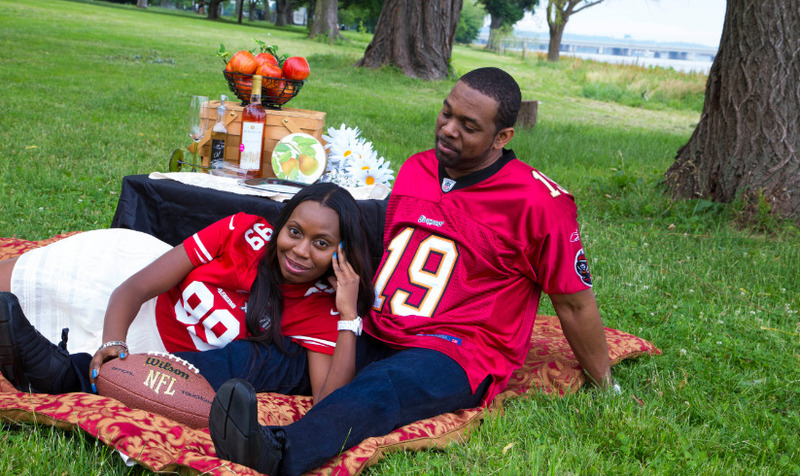 Ultimately make sure your outfits reflect your personality; like this couple who root for rival NFL teams! 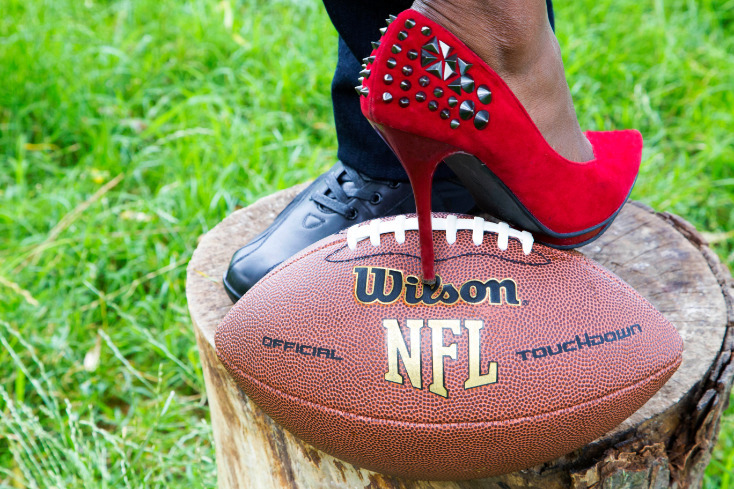 STEP 4 – Bring props; anything that represents your personality or your relationship. If you want to play football, have a picnic, ride bikes or have a snowball fight, it’s all great! STEP 5 – Relax and enjoy your time in front of the camera. We probably spend half of the time talking, joking and just having a good time. This won’t be your typical portrait session where you’re placed in a pose and told to stand still while I snap away. Most of the photos will be of the two of you interacting, laughing, having fun and maybe sharing a kiss or two! STEP 6 – Go out to eat afterwards; Guys – this one’s for you! After your engagement session, plan to go out to eat! 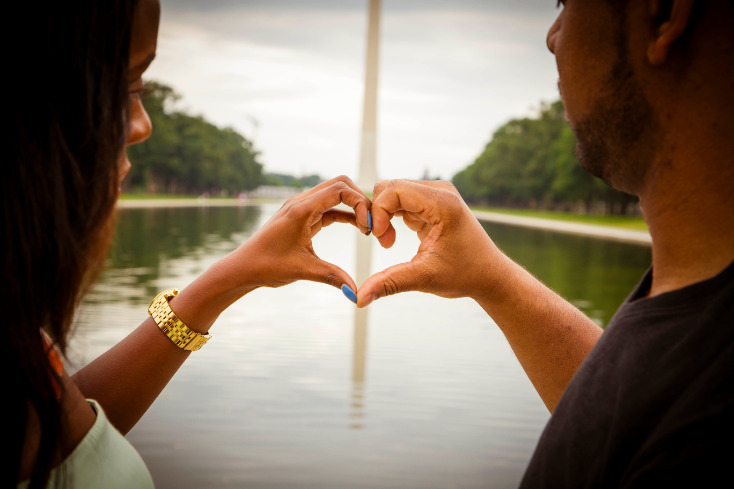 This turns your engagement session into a great date night! Cap it off by cuddling up on the couch and watching a movie, your fiancee will be amazed at how thoughtful you are! 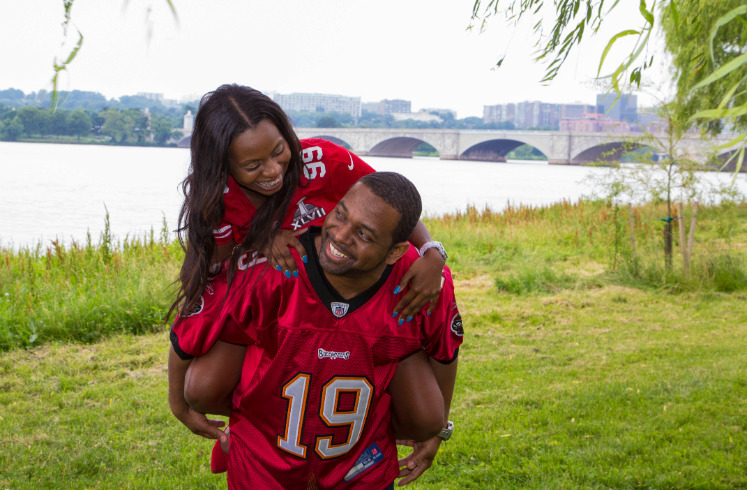 By following these six simple steps you’re sure to have an amazing engagement session! 1. What should we wear to the engagement session? We encourage our couple’s to wear outfits that are THEM but that still bring out their playful, creative side. We are a big proponent of color – all colors are great, and when mixed together in coordinating fashion – they are even better. For example, if the bride is planning to wear a dress with pink, blue & yellow patterns, we would encourage the groom to wear a shirt that suits his taste and personality but maybe in a blue shade. The colors on each of them will compliment each other! 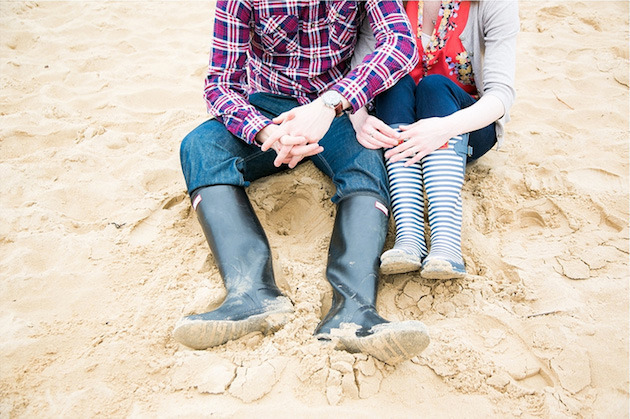 We also love to encourage our couples to bring along an outfit change so that they can add variety to their shoot. That being said, the colors of the second outfit should somehow correspond with the first so that the whole shoot can flow well together, while still being unique and colorful. In terms of accessories, they all work! Belts, earrings, necklaces – you name it! We like to highlight this stuff in our photos, so when we notice a unique accessory, we totally tie it into the shoot! Choose colors that go together and keep the same color palette as this will unify you together in the shots. I also think it is important to wear color rather than blacks and whites which can look harsh as color really lifts your photographs. Think about where we are shooting and choose appropriate clothes ie: if we are in the fields in winter hats and scarves or on the beach in summer think sun dress and flip flops. If we are going to an appropriate location why not dress up a bit, a dress and heels looks fabulous or jeans, a shirt and suit jacket for the guys you will feel amazing and in turn look amazing. Style it up – this really makes your photos sing. You could dress in a cute vintage way (not fancy dress!) perhaps a 40′s style dress and jeans and a waistcoat for your guy. If it’s a winter shoot in the park don’t just put your jeans, shirt and winter coat on…tights and a little skirt or tweed shorts, a chunky knit cardigan with a belt, hat scarf, gloves and cute knee high boots are far more stylish. 2. 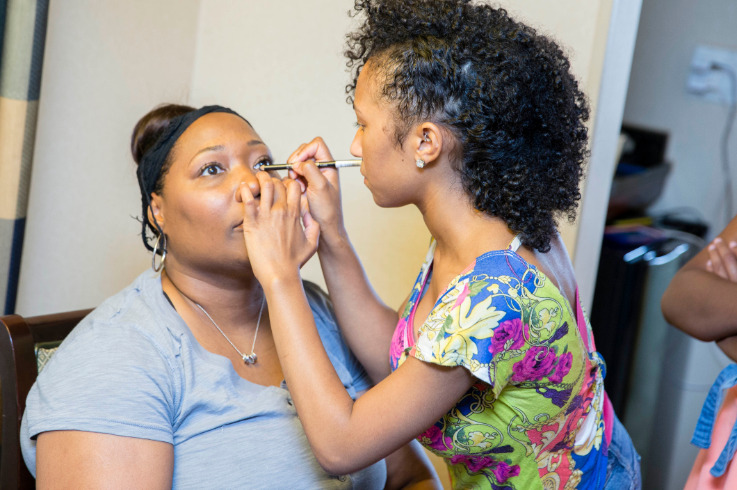 Is professional makeup really necessary? If you are a bit of a makeup / hair novice why not arrange to have them done professionally. Go to your local salon. Perhaps you could even arrange your wedding hair and / or make up trials for the morning of your shoot? 3. What is the best location for an engagement session? Think about your location, it is lovely to go somewhere that is meaningful to you as a couple but also has a variety of backdrops to make things more exciting and give you real variety in the images. City scenes, parks, fields, beaches, farms, lakes, rivers all make fabulous backdrops so think of somewhere unique to you! It is a good idea also to think seasonally, if your shoot is in the autumn why not take advantage of the amazing red and orange trees, winter could you do your shoot in the snow, spring in the flowers or grass fields or, in the summer, the beach? Urban areas and small towns can provide some great quirky backgrounds, eclectic or antique shops, colourful doorways and old brickwork look great. If you have an amazing home or perhaps are hiring a really special bridal suite this can make a great place for some more intimate shots. Of course the beach is always fantastic especially if there is variety ie: old groins, colourful beaches and long grasses in the dunes. It is also a good idea to think about your history as a couple…if you met in Starbucks start the shoot there over a cup of coffee! 4. Should we plan to do any activities during our engagement session shoot? Activities are fabulous in engagement shoots, they give you something fun and natural to do while making the shoot individual and interesting. You could hire a rowing boat on a local lake, do you have a horse and could go horse riding, does your dad have a vintage car you could borrow for a country drive or how about a vintage camper, you could visit an antique market, hire a tandem bike, or how about a picnic or trip strawberry picking? Fruit fields look fabulous and strawberry picking is a great activity that is fun and looks very cute in the images. Take a picnic to the woods or beach for some really romantic shots. 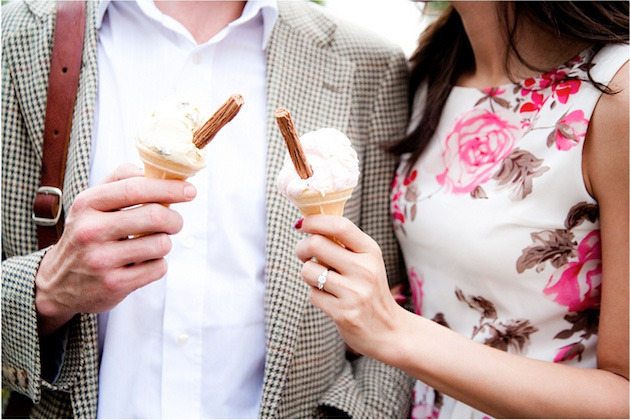 Share ice cream cones, Any experience you can be seen sharing makes the images really romantic. We think any prop that helps a) create a space that will give the couple comfort during their shoot… and b) that will help highlight the couple’s personality is perfect for their engagement photos. Some times, we don’t understand the prop – but we don’t have to get it! The couple knows what it means to them and that is the most important part! The photos are for them, and the time during their session is their time. 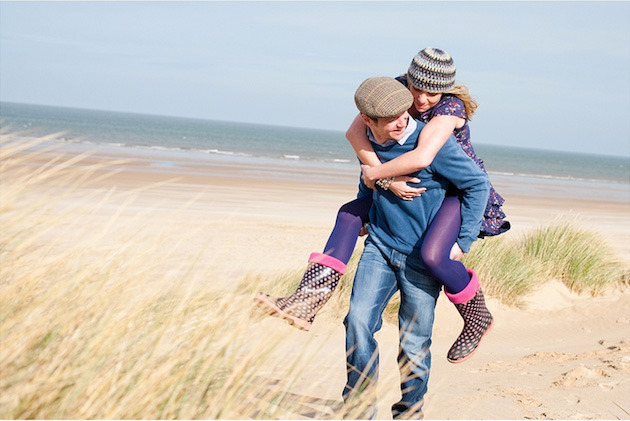 We think that anything that helps them enjoy that time together is perfect in our book. Think about the kind of props that might go with the shoot you have chosen. Perhaps you have decided on a picnic in which case you could bring a beautiful picnic blanket, hamper, pretty plates, and gorgeous looking food like strawberries, cupcakes, olives. You could bring a vintage tea-pot or a vintage bottle of lemonade and glasses with fun straws. If you are going strawberry picking bring a pretty basket, a winter walk maybe a knitted blanket to hang round your shoulders and a flask of hot chocolate, even a bunch of flowers looks great as it looks like you are on a ‘date’. If you do decide to bring props make them stylish, sandwiches in a carrier bag do not make a picnic! We could go on forever about props as they can really ‘make’ a photo, they are also fun and make your images unique to you. 6. What is the best advice you can give to make the session successful? When it comes to the camera, no one is prepared for what is to come! The best advice we could give someone is to be themselves and have fun with it! It’s not every day that you get to spend 2 hours together doing nothing but staring into each other’s eyes, holding hands, hugging, kissing and being super sweet to one another… so take advantage of that time! And for our clients – we want them to forget we are there! If we need you to do something specific, we’ll let you know but otherwise we just want to capture photos of you guys being genuine and being together. When you forget about the camera and let loose, the best photos are created because the best moments happen right before our eyes.